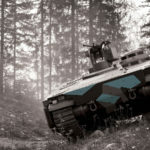 The BAE FRES SV was a prototype reconnaissance vehicle, developed by BAE Systems (Sweden) for the British Armies former Future Rapid Effect System program (FRES). 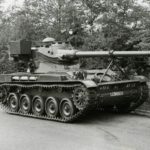 The vehicle was competing for the Scout Vehicle (SV) role as a replacement to the armies Scimitar CVR(T). 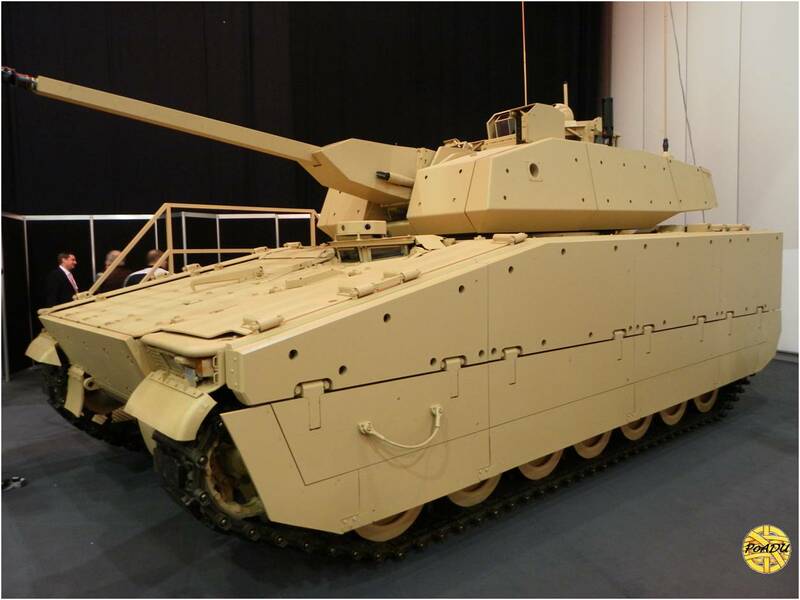 BAE Systems FRES SV trials started in 2004. 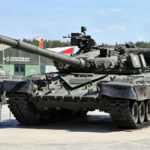 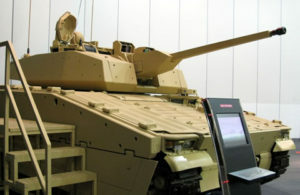 In March 2010, the army selected BAE Systems competing design by General Dynamic Land Systems UK based on the ASCOD, now known as the AJAX. 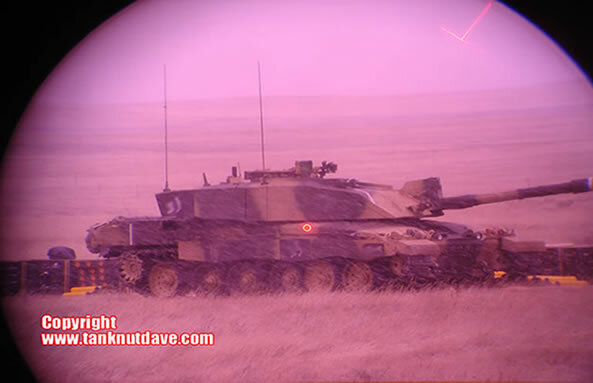 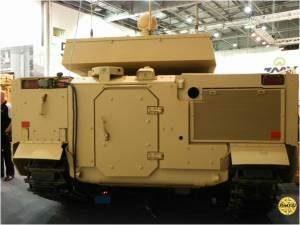 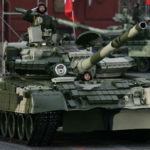 The British Army in recent years had been developing a program called the “Future Rapid Effect System” (FRES), which was to be a fleet of vehicles that could be rapidly deployed, were network-enabled, capable of operating across a broad spectrum of operations and protected against current known threats of the time. 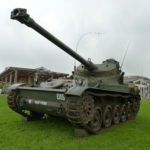 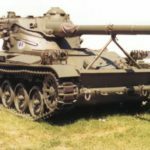 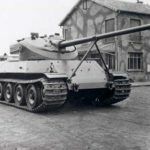 The FRES fleet was expected to comprise five families of vehicles. 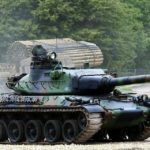 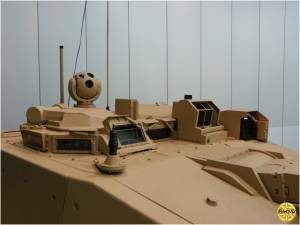 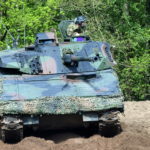 Since the selection of AJAX for the FRES SV role, the program has ceased and new programs started. 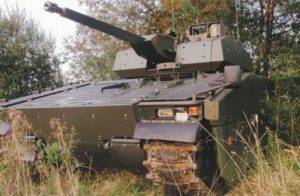 For example, the former 8×8 wheeled FRES UV (Utility Vehicle) has matured in to the 8×8 Mechanised Infantry Vehicle (MIV) program. 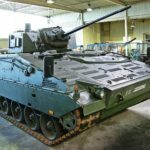 Nearly half of the armoured reconnaissance vehicles are a Scout variant and the rest are repair, recovery and protected mobility variants. 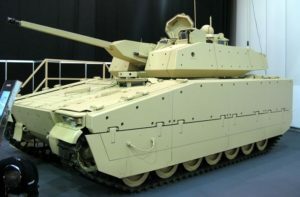 The FRES Scout variant builds on this pedigree and features a shorter and lower profile chassis plus an electronic architecture, or operating system, specifically developed to meet the needs of the British Army. 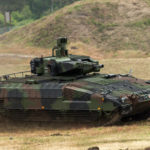 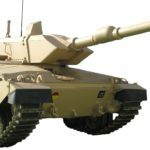 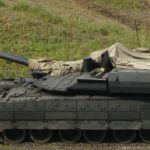 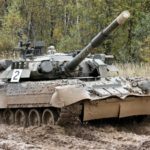 CV90’s unusually low thermal and noise signatures and ability to perform long periods of silent watch suit it well for the Scout role. 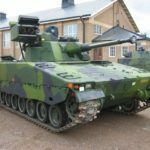 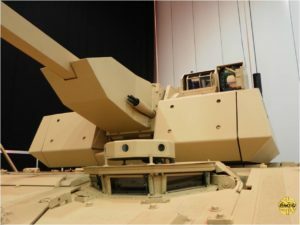 During 2015, the prototype was seen in BAE systems Swedish workshops with out its turret by one of our admin team.